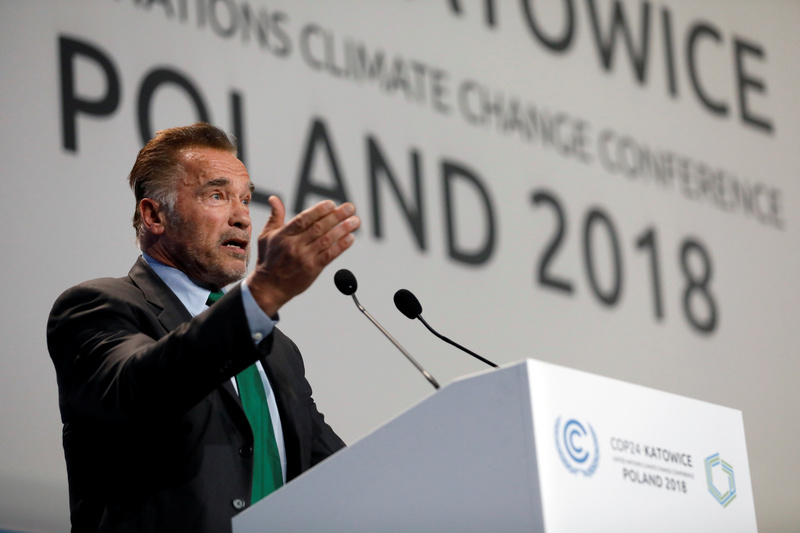 Actor Arnold Schwarzenegger speaks during the COP24 U.N. Climate Change Conference 2018 in Katowice, Poland, Dec. 3, 2018. REUTERS/Kacper Pempel. 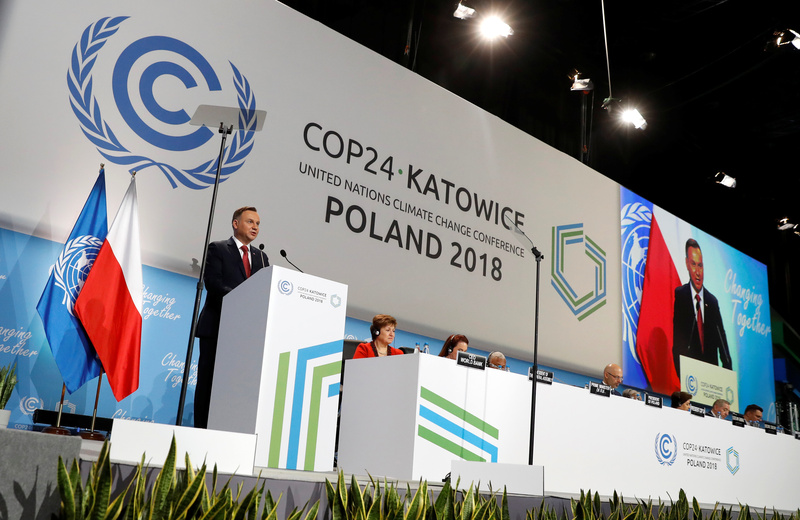 Polish President Andrzej Duda addresses during the opening of COP24 U.N. Climate Change Conference 2018 in Katowice, Poland, Dec. 3, 2018. REUTERS/Kacper Pempel. The U.N.’s latest “emissions gap” report found “the G20 countries are collectively not on track to meet their unconditional [nationally determined contributions] for 2030,” meaning the world’s largest economies aren’t cutting emissions fast enough to meet their Paris accord pledges.